The Mike Bender Golf Academy offers completely customized programs taught by two National Teachers of the Year using state-of-the-art diagnostic equipment and unique proven training methods used by multiple major champions. It doesn’t get any better than this. 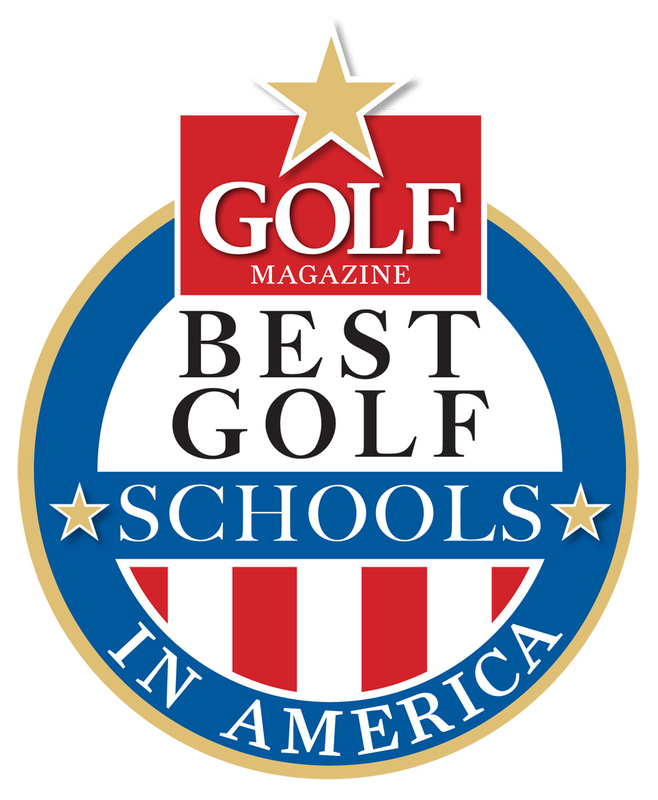 Named among the Top 25 Golf Schools in America by Golf Magazine, the Mike Bender Golf Academy would be pleased to create one of our fully-customized instruction programs for you or your group on the dates of your choice. Our academy is focused on providing the highest quality instructors and proven techniques that improve your skills and your enjoyment of the game. Most of our guests choose two to four hours of instruction each day. Instruction normally takes place in the mornings followed by lunch and then golf in the afternoons. Some students choose to add additional instruction after playing each day. Our instructors are also available to observe your play on the course. Your schedule is completely up to you and is fully customizable to your needs. All instruction fees with one of the most talented teaching staffs in America. All range balls and the use of our state-of-the-art practice facilities including our world famous MEGSA Perfect Practice Equipment. A Mike Bender Golf Academy Instructional Notebook. A Digital Video Swing Analysis. Green fees and cart fees (if you choose to play golf). Lunch each day at Magnolia Plantation. The Mike Bender Golf Academy’s fully-customized programs are unique among the game’s top academies. To better understand your needs we have developed a short survey below. When you complete the survey, the results will be forwarded to our golf school manager who will contact you to answer your questions and to build the perfect golf school experience for your needs and budget. Interested in a custom golf school at our facility? Follow these steps! First, fill out our Custom Golf School Questionnaire. This brief form will give our AcademyManager an overview of exactly what it is you are looking for in your golf school experience. Secondly, our Academy Manager will then create a custom itinerary and quote for you to review. She will send you this information via the email address you provided on your questionnaire. Next, once you have received and reviewed this information and are ready to book your school, please contact our offices at 407-321-0444 to put down your $250.00 deposit. If you would like to make any changes to the schedule, we are able to do this for you at this time as well. Lastly, you will receive a confirmation that your school has been booked and an email with some final details and instructions for your school. ALL GOLF SCHOOLS ARE RESERVED ON A FIRST-COME, FIRST-SERVE BASIS SO GET STARTED AND BOOK YOURS TODAY! Would you like more information on the following school options? To provide some direction as to what is available we have designed samples of four types of schools for your review. There are ½-day, full-day, two- and three-day school samples available below. Instruction with one of the most highly-trained teaching staffs in America. Use of the academy practice areas including our unique wedge range. Use of the MEGSA Perfect Practice Equipment designed by Mike Bender. A Mike Bender take-home instructional notebook. Online Video of your swing including your instructor’s recommendations via the use of V1 Software. Catered Lunch from Local Reataurants. Meet Your Instructor – Discuss your overall game and current swing issues. Your instructor will videotape your swing and use computer analysis to show you the most efficient way to improve your motion. Full Swing Lesson – Instructor will work on your full swing issues and their corresponding fixes. Short Game Lesson – Instruction on the short game will include the four key short game shot trajectories that every golf should master (low, medium, high and flop). Bunker Shots/Putting – Instruction on greenside bunker shots and putting. 12:00-1:00pm Lunch at Magnolia Plantation. Catered Lunch from Local Restaurants. Meet Your Instructor – Discuss your game and review our mental golf profiler. Establish goals based on your discussion and profile results. (The profiler is completed online prior to attending the school). Full Swing Lesson – Using the V1 Video System your instructor will video your swing and discuss changes to be made. Implement changes on the practice range with instructor and in the MEGSA Perfect Practice Equipment designed by Mike Bender. MEGSA is one of the best systems for implementing swing changes in all of golf. Short Game Shots – Instruction on the four key short game shot trajectories that every golfer needs to master (low, medium, high and flop). Pitching – Short game swing lesson using the short game range designed by Mike Bender. Putting Lesson – Covering putting stroke fundamentals, green reading and distance control. Playing Lesson – Your instructor will take you onto the golf course to improve your pre-shot routine, shot selection, unusual on-course situations. Two hour playing lesson under playing conditions. • Meet Your Instructor – Discuss your game and review our mental golf profiler. Establish goals based on your discussion and profile results. (The profiler is completed online prior to attending the school). TrackMan Launch Monitor – Analyze your swing using our video technology and our state-of-the-art computer system to provide comprehensive swing and shot data. TrackMan allows for the most thorough analysis possible of your swing and is used by hundreds of touring professionals. Full Swing Instruction – Work with your instructor on the implementation of recommended swing changes. Also included is the use of our MEGSA Perfect Practice Equipment designed by Mike Bender. MEGSA is one of the best systems for implementing swing changes in all of golf. 1:30pm Afternoon Session • Full Swing Instruction – Continue improving your full swing with a variety of training methods. Fitness Training Analysis – A comprehensive screening of your physical capabilities to determine what affect they have on your golf swing. This session is conducted by Scott Shepard, physical fitness specialist for the Mike Bender Golf Academy. • Full Swing – Second day of working on your full swing and developing practice techniques that can be used after the completion of the school. SAM Putt Lab – A complete analysis of your putting stroke will be done with our SAM Putt computer and your instructor will use the data to make improvements in your stroke. • Bunker Play – Your instructor will work with you on greenside bunker shot technique. Personalized DVD – Final DVD is created for you. It includes comments and practice tips by your instructor for use when you return home.